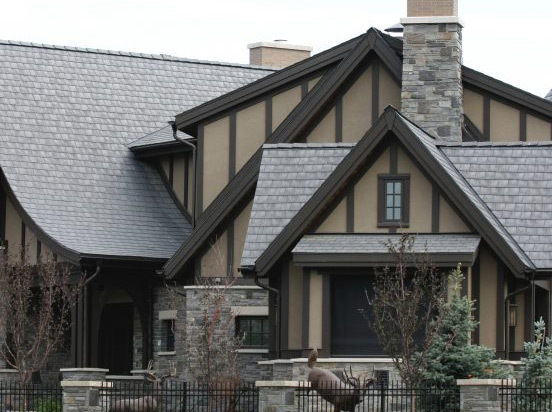 A residential roof can be as simple and basic as a way to protect your house from rain and snow. However there’s more to it than just nailing shingles on to a roof. With the different types of roofing products available today, here’s a quick 101 on the benefits of each. Owens Corning TruDefinition Duration shingles have the highest wind rating (209 km/h) on the market for architectural style asphalt shingles. 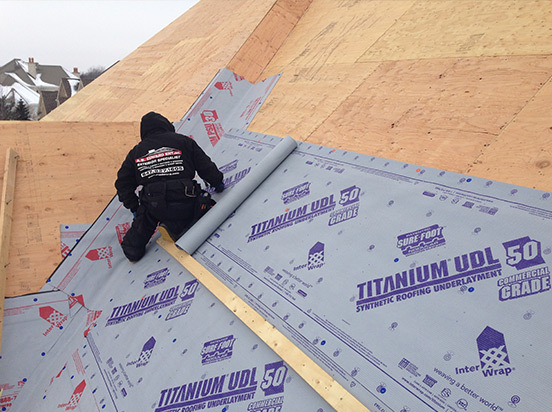 With TruDefinition Duration shingles, you don’t have to worry about shingles blowing off your roof during the next Alberta wind storm. 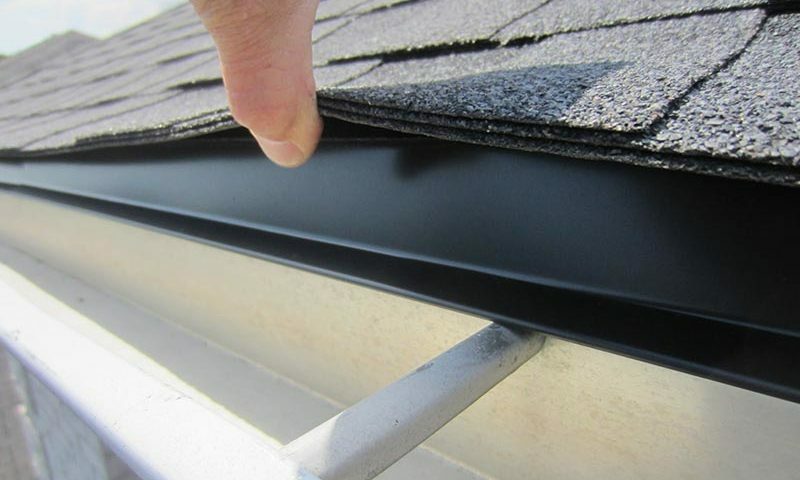 Drip edge is a metal flashing that protects the edge of your roof by guiding water into your eavestroughs. Water leaking behind your eavestroughs can develop into serious problems inside your home. 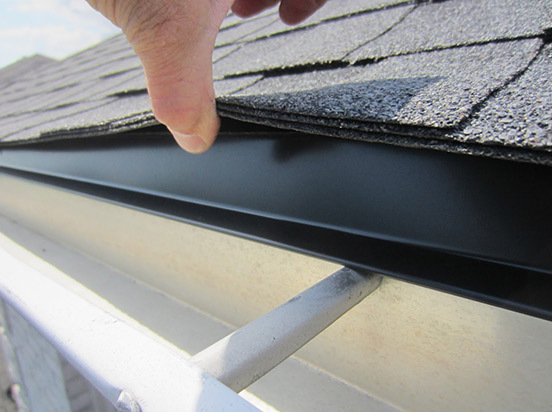 Drip edge protects your home from rotten wood in the area problems most often appear. Ice & Water is a self adhering waterproof membrane installed on your roof’s eaves and valleys that protects against water buildup. Alberta weather can cause ice to build up on your roof and leave standing water on your roof (see Ice Damming). 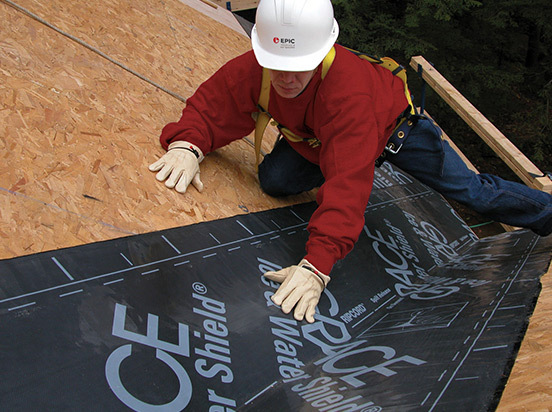 Ice & Water Shield forms a waterproof barrier that prevents damage to your home caused by water backing up on your roof. 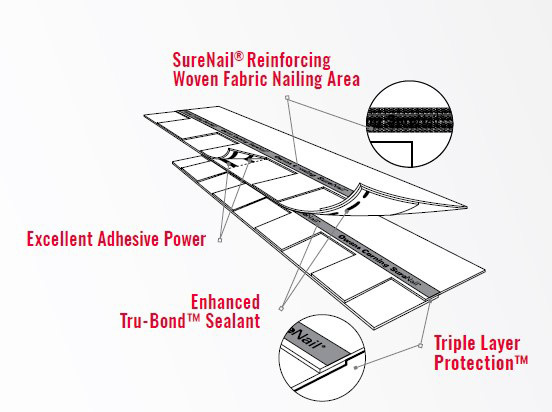 Installing synthetic underlay provides an extra water resistant layer of protection between your home and the elements. In the event of a severe storm, high winds can rip shingles from your roof. Synthetic underlay protects your home from leaks until repairs can be made. Malarkey Legacy® shingles are a premium SBS polymer modified asphalt shingle to provide the highest hail impact rating on the market. 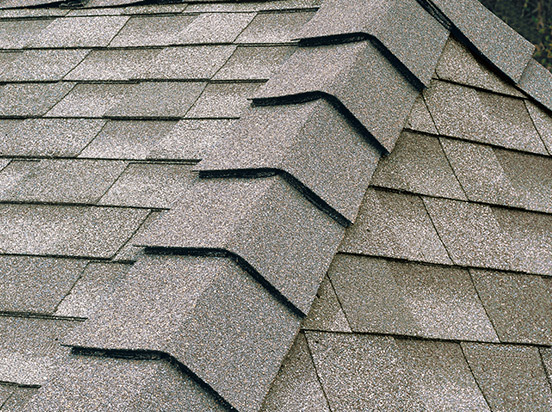 Marlarkey Legacy shingles provide added protection to your home during the next hail storm using Malarkey’s Flexor SBS polymer modified asphalt technology. 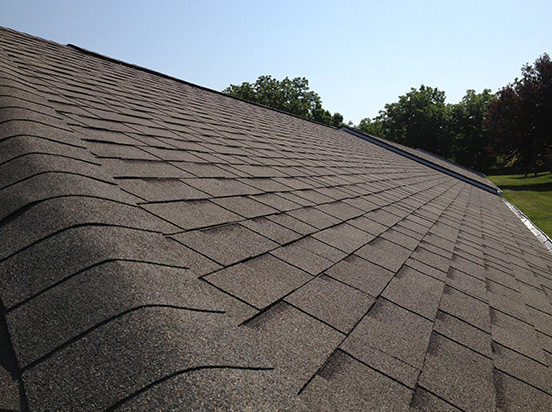 Valley metal is a flashing installed where two roof faces meet to reduce wear and tear on the shingles. 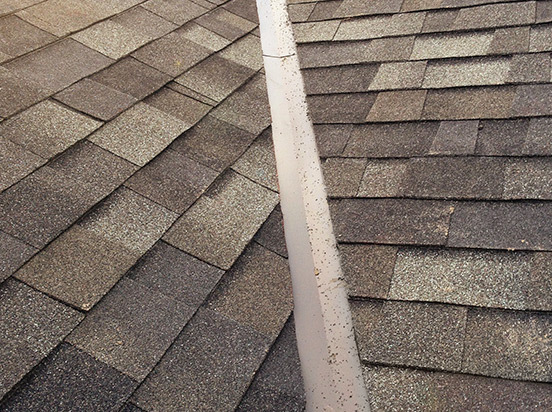 Valley Metal prevents leaks and increases the life of your roof by clearing water from your roof more quickly. We strongly recommended this upgrade on all homes with valleys. High profile ridge cap is an aesthetic upgrade that gives your asphalt roof a shake-like appearance. Installing high profile ridge cap is an easy and inexpensive way to increase curb appeal and make your home stand out on the street. 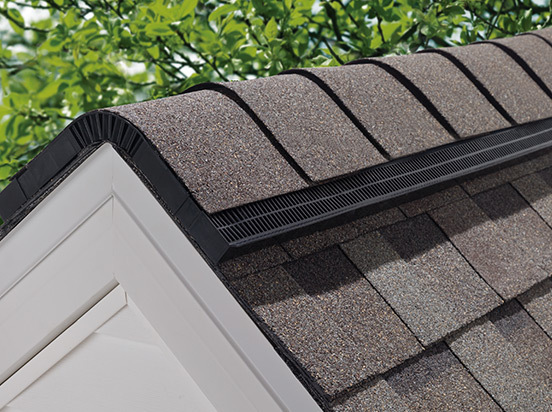 Ridge venting facilitates airflow along the entire length of your roof, improving shingle life and preventing condensation. Improved ventilation will increase the life of your roof and reduce the likelihood of condensation problems inside your attic. Ridge venting is the most effective way to ventilate your roof, particularly on homes with vaulted ceilings.